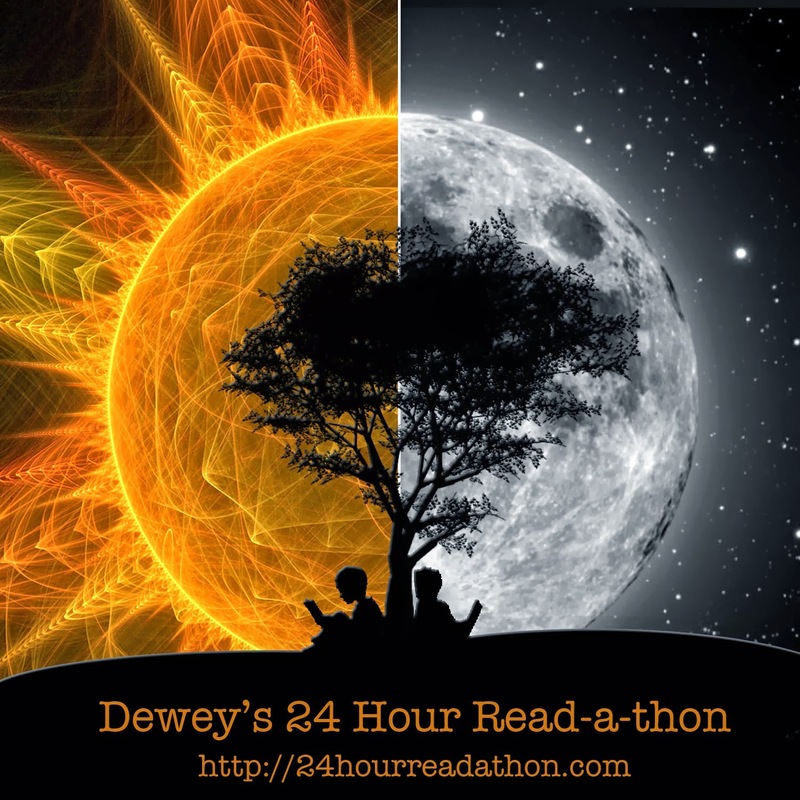 It's almost time for Dewey's 24 Hour Readathon! One of my favorite things about this event is the preparation. What should I read? What should I eat? I like to read a mixture of graphic novels and short classics on readathon day. I need the art of graphic novels and the language of the classics to keep my synapses sizzling. The short length of these reads ensures that I won't burn out. It's not about how many books I can read, it's about making sure that my energy doesn't flag. It's about quality more than quantity. I doubt that I'll get through all of these but I'm sure going to have a fantastic stack to work with. Do you have your readathon reads stacked up and ready to go? Which book are you most looking forward to reading? Great list! I've only read The Awakening and Speak, but I've heard good things about the other books. I hope you have fun with the readathon! I'll get my list up soonish. Thanks! I hope I dig all (or at least MOST) of these. I need these shorties so that I don't lose steam during the day. I'm definitely NOT a pre-planner. I have 3 books for challenges that I need to get through this month, but I've already started on one and I dunno if I'll read the others during Dewey's or not. It'll just be completely what I'm in the mood for. I'm usually a big fan of reading on a whim, or according to my moods. I get all crazy with the planning for this event though :D I hope you end up reading some great stuff! Love your list. 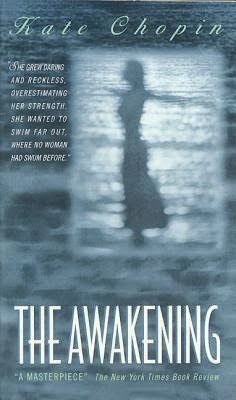 I've read The Awakening and found it to be a terrific read - hope you enjoy it as well. I've recently downloaded Speak, but haven't gotten to it yet. Have fun with the read-a-thon! Great stack! 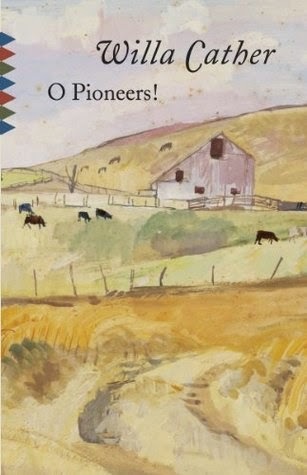 O Pioneers and The Awakening are two of my favorites; I hope you enjoy them! You and me both! I love being able to knock out of bunch of short classics on readathon day. I never seem to get to them otherwise. That IS a great stack! I love that the classics you picked are also page-turners - I think you'll love them! Thank you :) I have a really good feeling about these! What a stack! I suppose you have included back-up books. I've recently read 'Speak' since it has just been translated into French (I'm French) & that the publisher has sent me a copy. 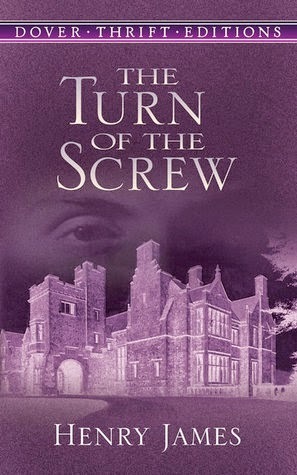 I intend to read The Turn of the Screw for the read-a-thon. I will not have a pile this time, just one main book, The Turn of the Screw and an esay read in case of need. Oh yes, I'll never get through ALL of these, even though they are all short books. I like to have a wide selection in case something is really awful, lol. It's cool that we'll have the same read going on that day. I hope you have a great one! Yay! I will be reading The Awakening as well. We can compare notes. 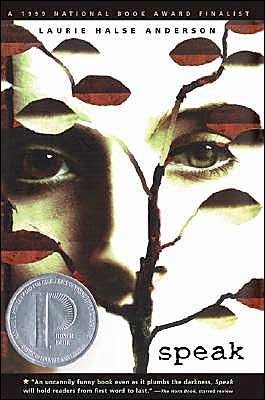 I haven't read One Summer, but I've heard really good things about it. Great minds think alike! :D I hope we both like it! I've been hearing about One Summer quite a bit lately and I just had to pick it up. I love the mix of short classics and graphic novels--don't think I ever would have considered that combo, but it sounds perfect! I tend toward shorter books for read-a-thon too, but like you, it's not because of "numbers" but about making sure my energy and motivation stay revved up. 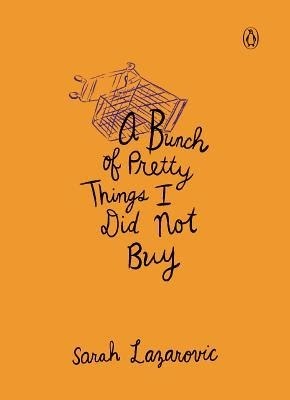 I'd never heard of A Bunch of Pretty Things I Did Not Buy before, but went and googled it--sounds so fun! Hope you enjoy every minute of Dewey's Read-a-Thon! I hadn't heard of that one either but it arrived on my doorstep yesterday and I knew it would be perfect :D Gotta love those short reads for readathon day! I hope you have a great one too, Debi. That's quite a stack of books! I wish you the best of luck with the readathon. Have fun! Oooh so many great shorty-shorts on this list! I hope you have a blast! Have fun! I enjoyed Speak and it was a quick read, which is perfect for this event. I'll be reading on Saturday! I haven't pulled my stack together. I don't know if I will or just read whatever. There's nothing wrong with that. I usually like to read willy-nilly :D For the readathon I really need these shorty shorts, lol. Well, that looks like a lovely stack . . . I confess that I have no elaborate strategy. I was just going to, you know, read a lot that day. Looks like I have a few things to learn about how to do a readathon! I'm really excited about reading that one too. I never have so I'm looking forward to seeing what makes it a classic :D Maybe you could readathon along with us for a little while? 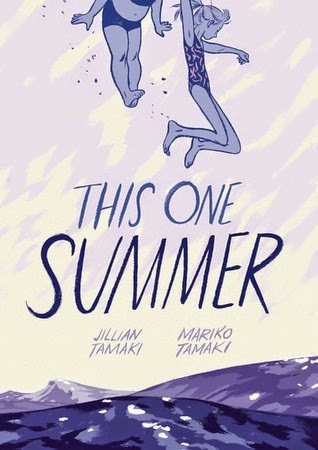 I saw you and Andi singing the praises of This One Summer so I had to put it on my readathon list :) Oh gosh, what you think of a book can totally depend on your age when you read it. Great list! Gene Luen Yang is one of my favourite graphic novelists! Happy readathon-ing! Thanks! I read, and adored, both Boxers & Saints. I know American Born Chinese won a boat load of awards and I'm super excited to read it. I'm going to take part in this readathon for the first time! I'm quite excited. Still trying to determine what books to put on my stack, but will post my list later this week. Oh!! That is so super exciting, Melissa! I know we've chatted about it before and it always seemed that it fell on a holiday for you :D Yay, super glad you get to play along! Ambitious AND relentless ;) Have fun! Ha ha, that's me! ;) Thanks! I found a great list of super short classics and there it was ;) Light bulb moment! Thanks! Are you reading along? Hope so! Nice stack. Hmm...that doesn't sound dirty at all. Love to see Willa Cather in the mix! Thanks :D I thought of you when I picked that one! Oh...The Awakening...I'm always surprised when I read comments about it. My reaction is usually different. I'll be interested to hear what you think. I like your stack! 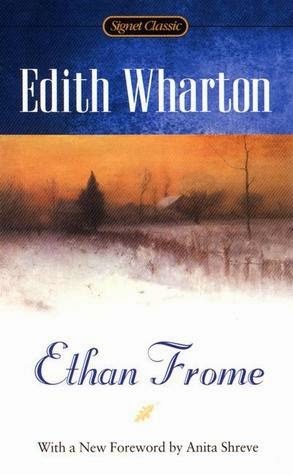 I so want to read Edith Wharton. I've only read a novella by her. Nice stack! The Awakening is really good. Going with short books and graphic novels is a great idea. Thanks! :D Reading shorter books really really helps me on readathon day. I think my brain would fail if I tried to read the same book for a whollllllllle day, lol. Short books are key, I think. And yay, comics! Well just don't wait until the wee hours to read The Awakening. Zzzzzzzzz. :P Kidding (not kidding). Yay graphics! 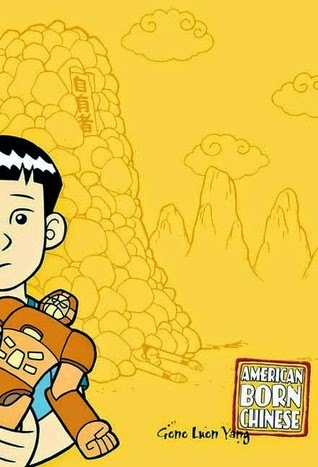 American Born Chinese is perfect and I might have to see if my library has a copy of This One Summer. YAY READATHON!! LOL, uh oh! I'll be sure to read The Awakening in the middle of the day when I'm at my strongest ;) Yay Readathon indeed! I get ridiculously excited! Good list! I have a different Gene Leun Yang book on my stack. I think it's so interesting you read classics -- I tend to go for more modern books so I don't get bogged down in the language. You are ON! :D I'm super excited to read that one and might tackle it first thing. Great stack! I have ended up having to read books that I "needed" to read during the past two readathons. Must plan better next time and get some graphic novels!